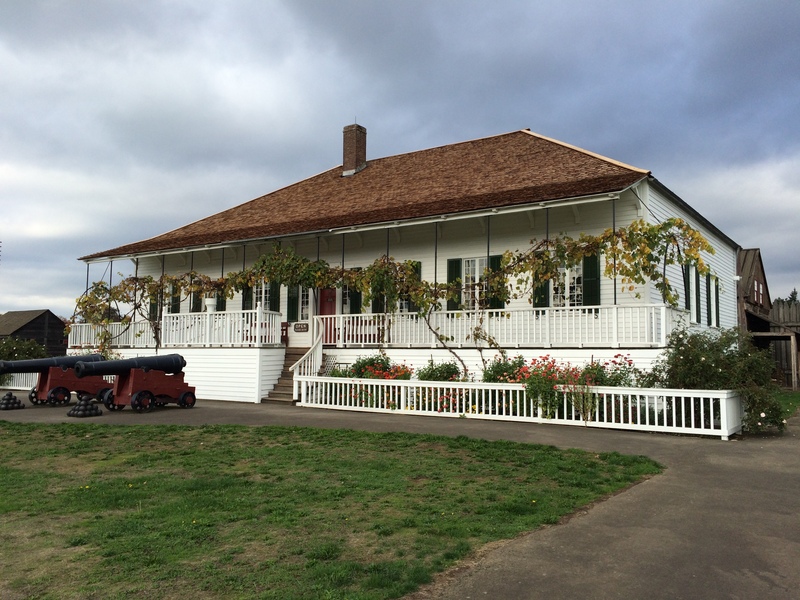 Nothing particularly amazing ever happened at Fort Vancouver, but the site has had a long and varied history. I started my tour at the Pearson Air Museum, an old hangar for what used to be an Army air base — the oldest one still in use. 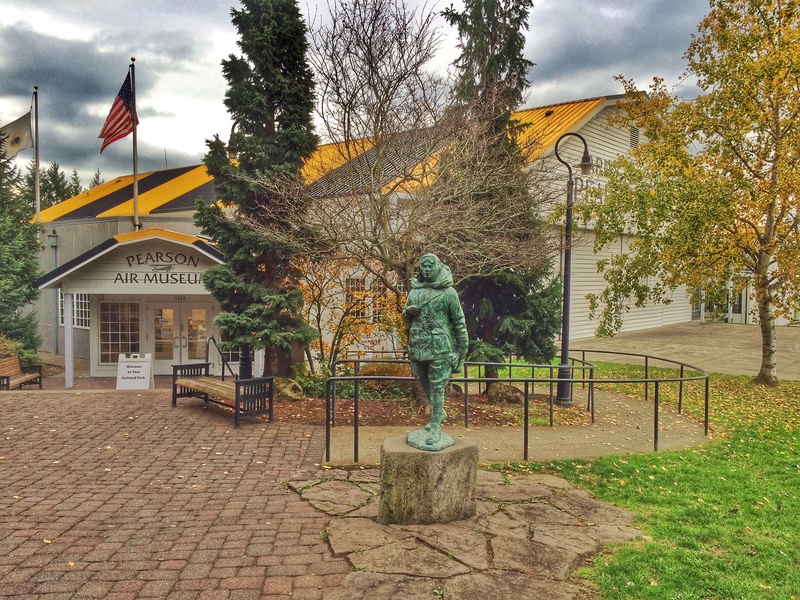 The National Park Service has decided to use the hangar as a museum of early airplanes, but it’s rather sketchy. After having toured the Air Force Museum in Dayton, Ohio, recently, this one was pretty pathetic and I didn’t stay long. 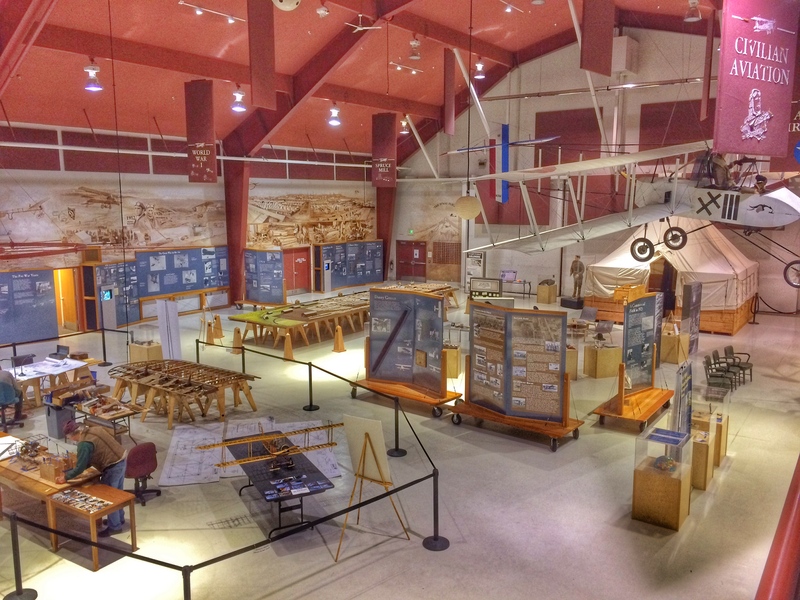 The two rangers on the left side of the photo were building a scale model of a very early airplane that was flown from the field. 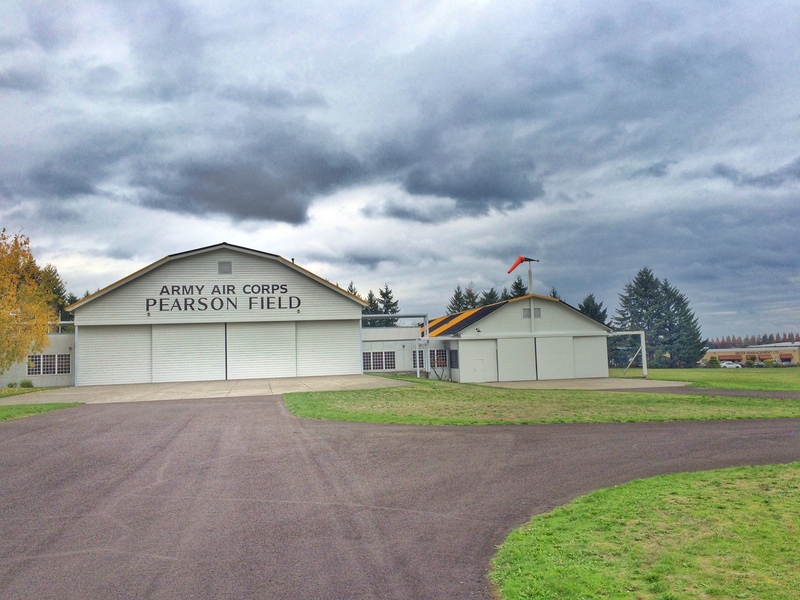 Near the hangar is a monument celebrating perhaps the most notable airplane-related event to occur at the field. In 1937, a Soviet Ant-25, carrying three crew members including pilot Valeri Chkalov, landed at the field after completing the first non-stop flight over the North Pole from Moscow. I then headed to the reconstruction of the fort. 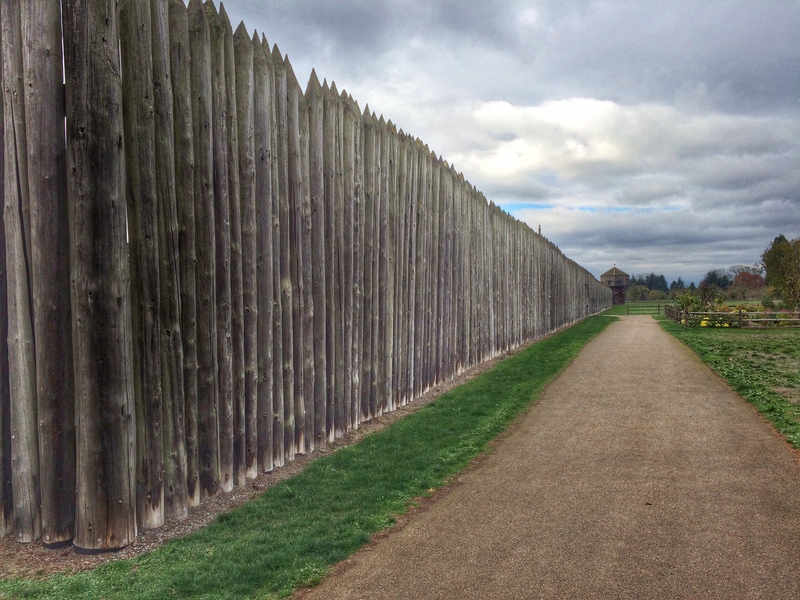 The original fort was built in 1825 by the Hudson’s Bay Company to establish Britain’s claim to the Oregon territory also claimed by the United States. As American settlers entered the region, Dr. John McLoughlin, the chief factor, sold them supplies and even extended them credit. In 1846, the border between the United States and Canada was established at the 49th parallel. 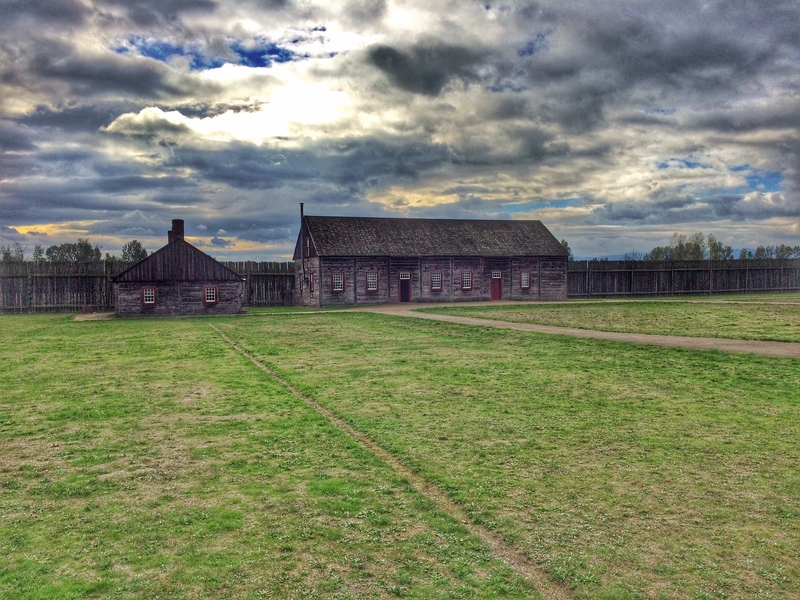 The Hudson’s Bay Company held out at the fort for a time, but moved away in 1860. 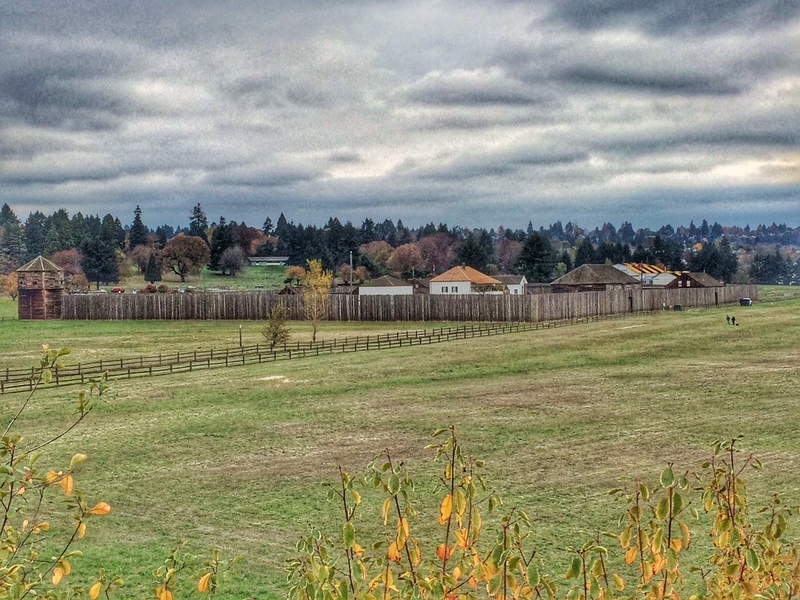 Within a few years, the fort had disappeared due to fire and decay. The site was excavated starting in 1947 and reconstruction began in 1966. 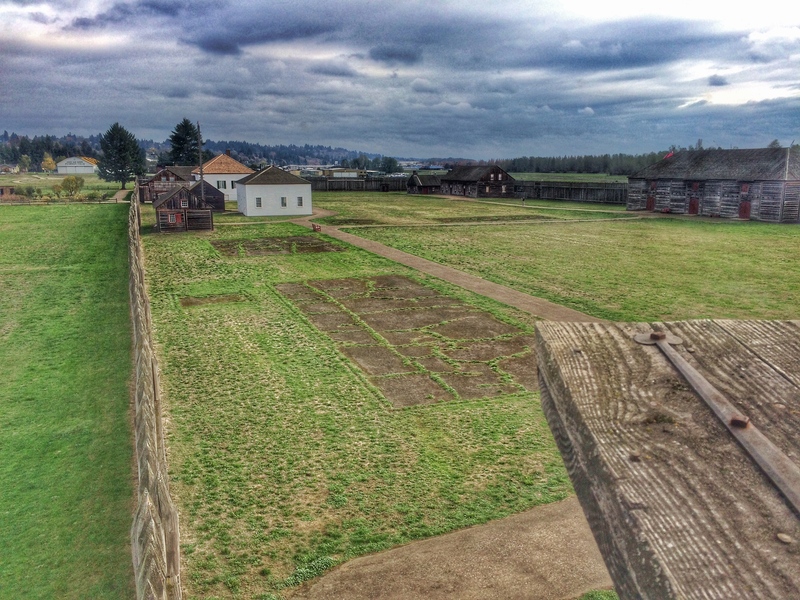 About half the buildings that were inside the palisade have been rebuilt. 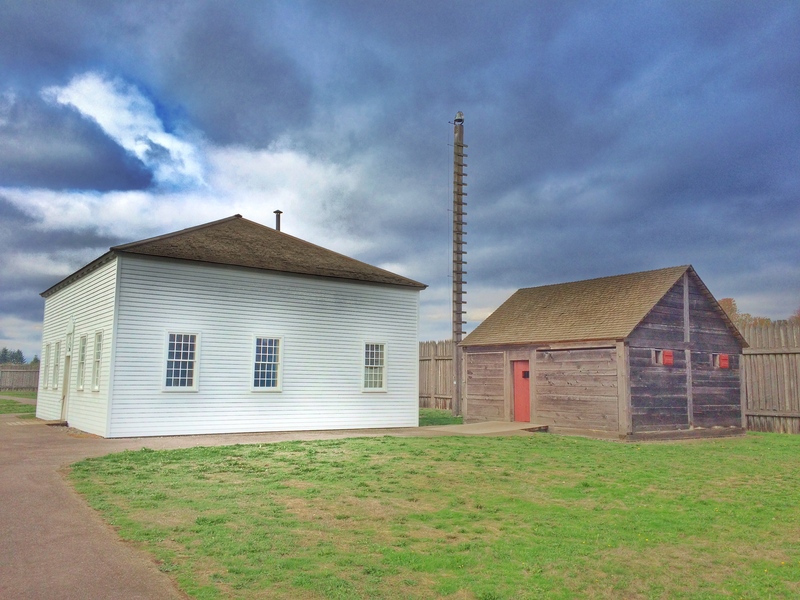 A volunteer in the carpentry shop told me that the Hudson’s Bay company kept ridiculously-precise records of everything, so they know, not only where the buildings were and what they looked like, but how many barrels of supplies and containers of soap they had on had at any given time. 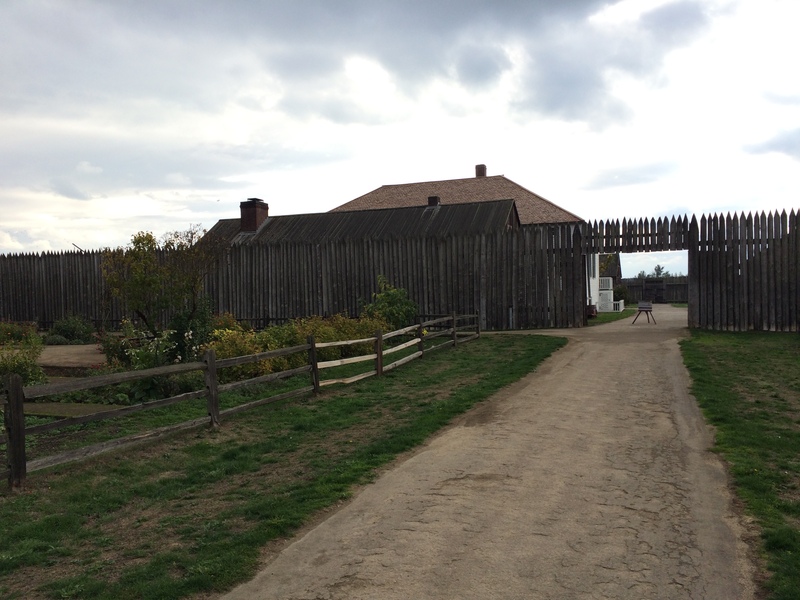 The Fort reminded me a lot of Fort William in Ontario, which was also a fur trading post. 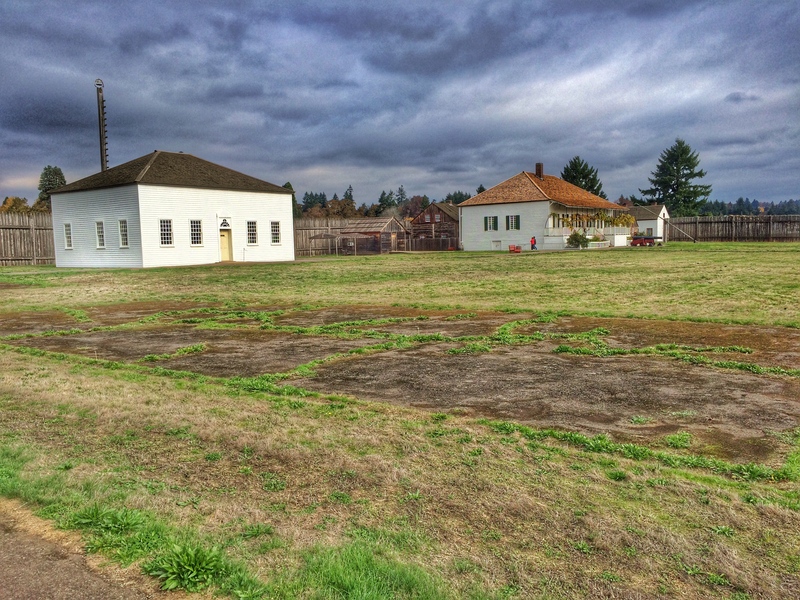 The white building on the far right is the bake house, built into the wall because it provided bread for ships crews and others in addition to fort personnel. Behind the chief factor’s house in the photos above and below can be seen the kitchen. The building on the right is one of the several fur warehouses that were in the fort. 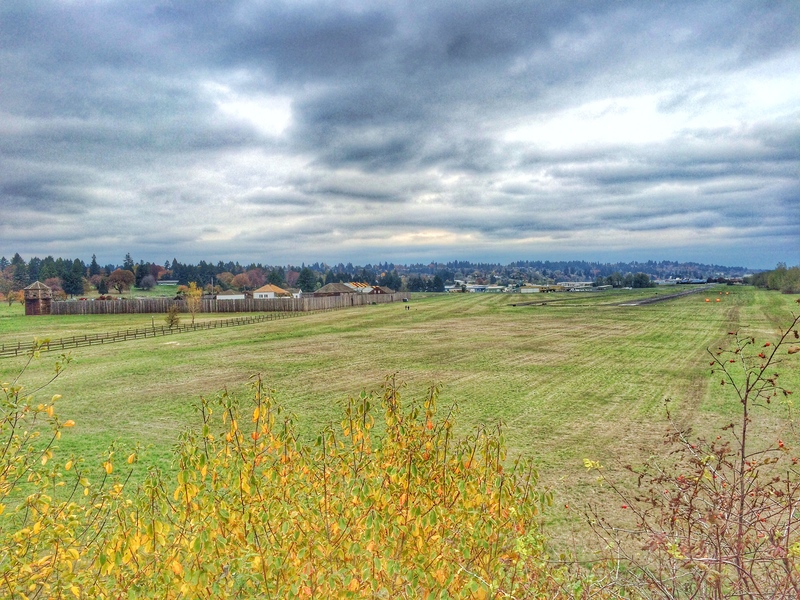 The view from the bastion. 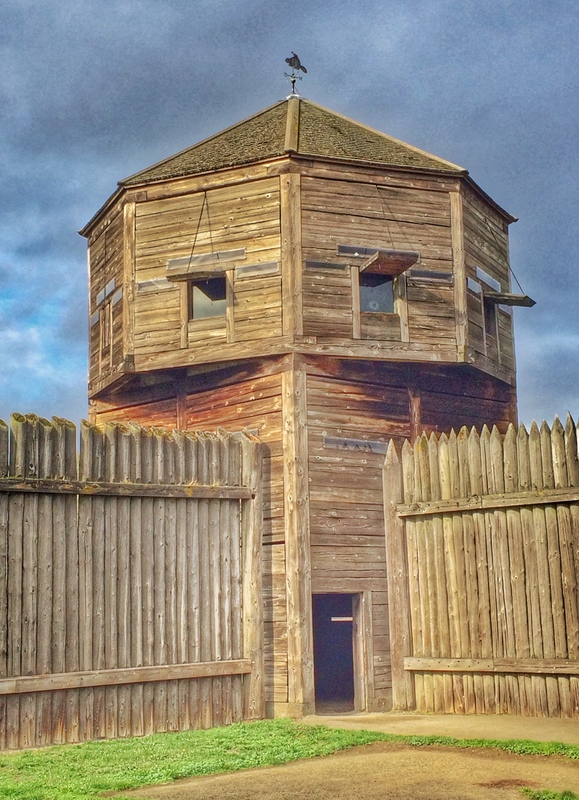 There were never any hostilities to speak of at the fort. 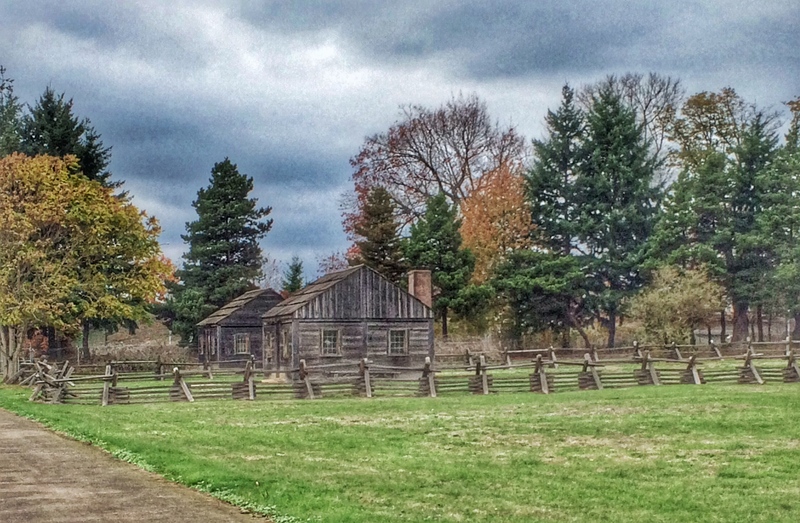 Many of the workers and their families lived in small cabins west of the fort in a community called The Village. Two of the houses have been reconstructed. 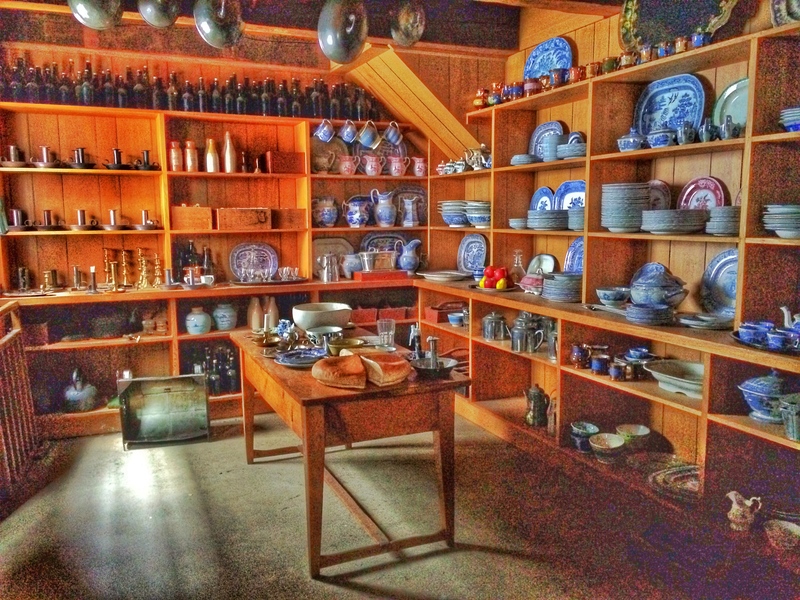 During World War I, the area was occupied by a huge spruce mill which cut Sitka Spruce trees into boards that were shipped overseas to America’s allies to make airplanes. Nothing remains of this operation except photos, one of which I found on a wall near the river. Within the boundaries of the National Park, there are also barracks and other buildings used by the Army during both world wars. 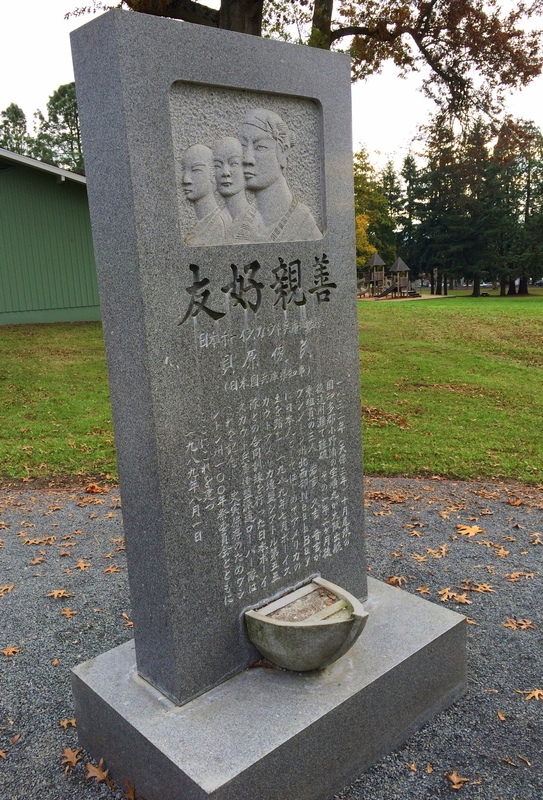 I also stumbled upon this monument, celebrating the first visit by Japanese to United States soil. 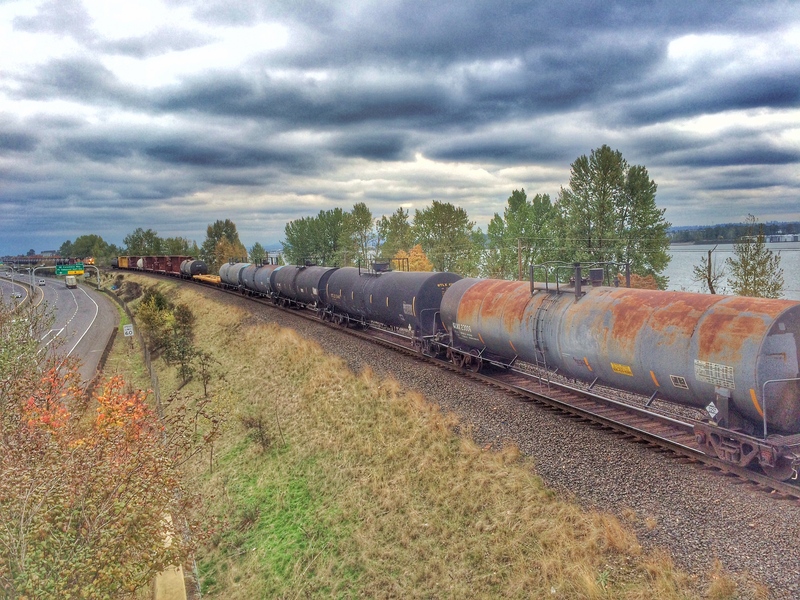 I followed a path across a bridge over a highway and down along the Columbia River. 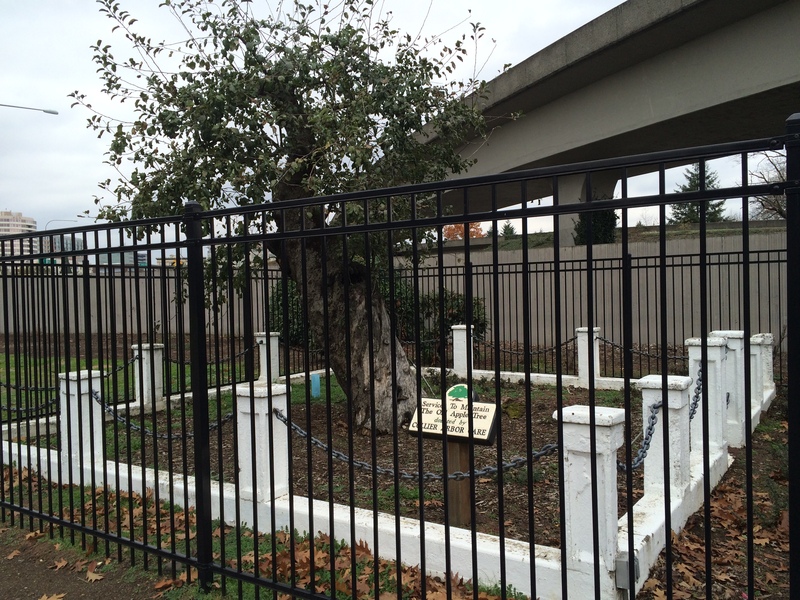 Along the way I saw this old apple tree, the oldest remaining tree from the area’s apple-growing past. Looking across the Columbia River into Portland, Oregon. 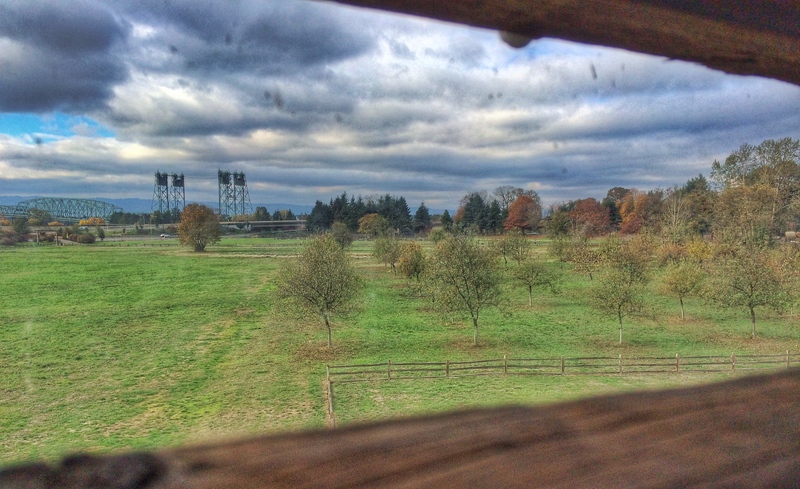 Looking down on the fort and airfield from the bridge over the highway. Two views of the Columbia River from the bridge. This entry was posted in Forts, National Parks. Bookmark the permalink.